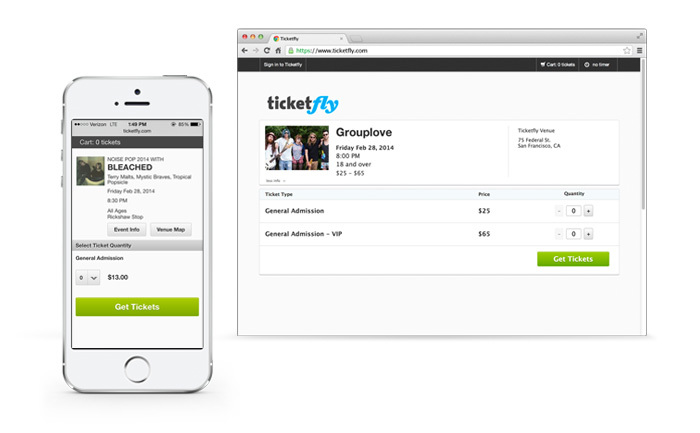 Ticketfly is a cloud-based technology provider for event ticketing. As the senior UI/UX Designer, I craft the end-to-end experience for the B2B clients and ticket purchasing consumers. The purchase software solution is one of the cornerstones of Ticketfly's platform. Relaunched in early 2013, the system has processed over $250 million in transactions. 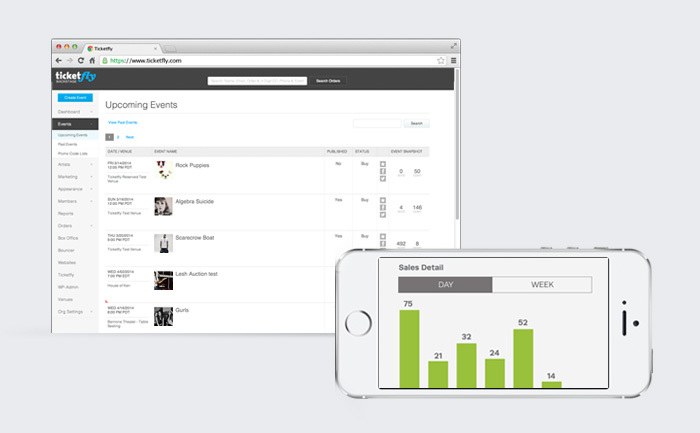 The Ticketfly Backstage application empowers the B2B clients to manage their organization through custom event building, data visualization & reporting, customer management, marketing outreach tools (email, facebook, twitter), and box office ticketing. George is the designer that everybody fights to get onto their project. He's smart, driven, engaged, and incredibly team-oriented. His passion for learning and continuous improvements are infectious. He has led the design effort for extremely complex products and features, and has always managed to turn them into simple, intuitive experiences. I strongly recommend George and would love to work with him again! Has a solid process in getting at the fundamental user experience of what is being modeled even before starting design. Cutting edge, highly usable, well composed, and harmonious are words to describe his design. And he backs it up with code. Good collaborator. I feel lucky when I work with him.